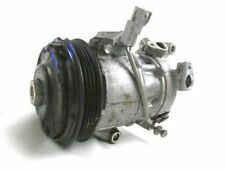 73111SG010 COMPRESSORE ARIA CONDIZIONATA VALEO SUBARU FORESTER (SJ) 2.0 D 16V 147 AUT SUV 5P (2017). BRUNO TRAS. SRL - TORRE DEL GRECO (NA)- P.IVA 03150771214. N.B. LE SPESE A VOI ADDEBITATE DALL'OFFICINA IN CASO DI GUASTO, NON GRAVANO MAI ALLA BRUNO TRAS. 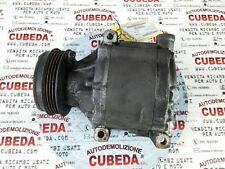 4472800930 COMPRESSORE ARIA CONDIZIONATA DENSO SUBARU OUTBACK 2.0 D 16V 147CV S.
SUBARU OUTBACK S.W 5P AUT. COMPRESSORE ARIA CONDIZIONATA. 2.0 TURBO DIESEL 16V. N.B. LE SPESE A VOI ADDEBITATE DALL'OFFICINA IN CASO DI GUASTO, NON GRAVANO MAI ALLA BRUNO TRAS. Categoria prodotto: Impianto climatizzazione/Compressore climatizzatore aria condizionata clima a/c. TOYOTA YARIS (_P13_) 1.3 (NSP130_). MPV / Space wagon. 11.10 - 10.16. TOYOTA VERSO S (_P12_) 1.33 (NSP120_). COMPRESSORE CLIMATIZZATORE ARIA CONDIZIONATA. LEGACY I (BC): 2000 4WD 08.1991 - 07.1994 85 116 1994. LEGACY I (BC): 2000 Turbo 4WD (BC5) 05.1992 - 07.1994 147 200 1994. LEGACY I (BC): 2200 4WD (BC6, BC7) 01.1989 - 07.1994 100 136 2212. Part Number Calsonic 73111FE040. Aircon Pump Compressor in Good Working Order. Used Genuine SUBARU IMPREZA TURBO 2.5 WRX HAWKEYE 2007. Subaru Impreza Turbo. Classic Shape Impreza. WRX, STi, Turbo UK, 22B Etc. Will fit the cars below. Years: 1992 To 2000. Chassis Code: GC8 GF8 GM8. Compresseur de climatisation occasion SUBARU IMPREZA 2.0I 16V TURBO 4X4 WRX réf. 73111FA133 608151046. Modèle : IMPREZA 2.0I 16V TURBO 4X4 WRX. Ce compresseur de clim (climatisation) de SUBARU IMPREZA est en très bon état. Nous l'avons contrôlé, nous le garantissons 1 an. Caractéristiques de laSUBARU IMPREZA sur laquelle nous avons prélevé votreCompresseur de climatisation . Sensors Not Included. A genuine honest guy who is as passionate about your car as you are. Have had lots of work done by Richard inc. engine work and is a top bloke who doesn't cost the earth. Have used this garage on 3 of my cars great service at a very good price. Klimakompressor Kupplung passend für Legacy 2,5 10- DENSO TSE14C 6PK (PV6) 110,00 mm. Klimakompressor Typ. Passend für Klimakompressor. Klimaanlagen und Standheizungen. Unsere Experten helfen Ihnen, die richtige Wahl zu treffen. Used but in excellent conditions. Perfectly working. Taken from a 2011 Subaru Forester SH but suitable on Impreza and WRX/STI as well. Klimakompressor Typ. Passend für Klimakompressor. Klimaanlagen und Standheizungen. Unsere Experten helfen Ihnen, die richtige Wahl zu treffen. _ questo è venuto fuori SUBARU WRX STI 2005 2.5 L 4 cilindri tutte le ruote motrici che aveva (69K). _ SUBARU WRX STI OEM volante nero. Model SUBARU WRX STI 2005. buona fortuna. Subaru Impreza & Wrx & Sti 2015-2019 Oem Laterali Sensore Crash Srs (Coppia) . _ SENSORI CRASH SIDE OEM SOTTARU WRX STI. _ QUESTA E 'STATA SCOPERTA SUBARU WRX STI SEDAN 2015 2.5. Year 2015 2016 2017 2018 2019. Model SUBARU STI 2015. Other Part Number FRONT AND REAR DOOR SIDE CRASH SENSOR. Aircon pump compressor removed from Subaru Legacy BH5 twinturbo. Good working order when removed. 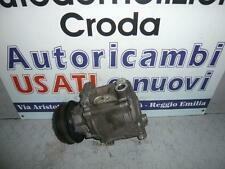 SUBARU LEGACY OUTBACK 08 MK4 EE20 2.0D A/C ARIA CONDIZIONATA COMPRESSORE 447260. 2008 Subaru Legacy Outback RE 2.0 Diesel. ModelLegacy Outback. System was fully pressured and the air con was working perfectly before removal from the vehicle. Engine Capacity2.0. _ ALTOPARLANTI OEM HARMON KARDON SUBARU WRX STI. _ QUESTA E 'STATA SCOPERTA SUBARU WRX STI SEDAN 2015 2.5. Year 2015 2016 2017 2018 2019. Model SUBARU STI 2015. Interchange Part Number SUBARU SEDAN. QUESTO SET È IN BUONE CONDIZIONI. _ questo è venuto fuori SUBARU WRX STI SEDAN 2015 2.5 L 4 cilindri TURBO trazione integrale che aveva (49K). Year 2015 2016 2017 2018 2019. Model SUBARU WRX STI 2015. _ CERCHIO FENDINEBBIA SINISTRA SUBARU WRX STI OEM. _ QUESTA E 'STATA SCOPERTA SUBARU WRX STI SEDAN 2015 2.5. Year 2015 2016 2017 2018 2019. Model SUBARU STI 2015. buona fortuna. Subaru Impreza Classic V1/2 Zexel Air Con Pump. Removed from Version 2 WRX Import. 01884 824249. 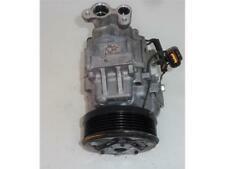 SUBARU FORESTER / IMPREZA AC COMPRESSORE 73110-AE050. Nippon Auto Ricambi srl. ANNI: 1998-2002. A/C Compressor. This part was removed from a Right Hand Drive Vehicle. Compatibility is a guide only. Your item will need to be signed for. Part Number. TRIM LEVEL. 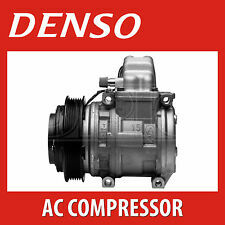 Sensore di flusso a/c per Denso TSE17C TSE14C compressore per Scion Subaru Camry Subaru 2.5 litri. Per TSE14C / TSE14F / TSE17C compressore. Si sta acquistando una nuova sostituzione sensore di flusso per il vostro compressore Denso TSE17C a/c.